I received a call from a frantic young man the other day. He was in his crawl space investigating a broken heater duct when he found a dead rat. Disgusted, he called in a professional to evaluate the situation. He called in a reputable local company who “discovered” a major rat infestation in his crawl space. After properly scaring the pants off this poor guy by rattling off the hundreds of hazards and health risks associated with the situation, he gave him the price tag – $4,000.00. The company was going to bait the crawl space to kill the rats, remove and replace the black plastic vapor barrier, and seal up all the possible points of entry. Overall, this sounds like a halfway decent deal for the amount of work involved, I suppose. The call I received was to give him a second opinion, his thinking was that hopefully another company could come in with a slightly cheaper alternative. I inspected the crawl space and found the dead rat the client had found, mummified, and about forty very old rat droppings, or waste. 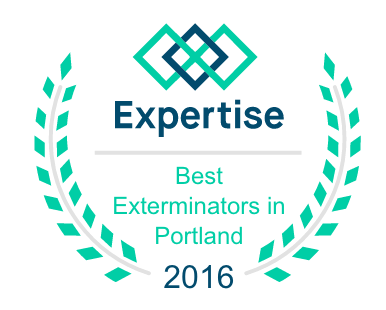 There was no indication that a current “infestation” was inhabiting the crawl space and the dead rat appeared to have been several years old. There was a small amount of insulation that had fallen off the subfloor. $4,000.00 for work that wasn’t required. I have to tell you, of all the nasty things I see as a Pest Managment Professional, this is the thing that makes me the sickest. Pest Control companies that prey on customer’s fears of the unknown and reach deep into their wallets for services that are not necessary. These guys know that most people don’t go into their own crawl spaces and aren’t going to check to see if the claims are real, and they aren’t going to check if the work was performed as described. There are cases where a full crawl space restoration is needed. If you are told you need one, please do your due diligence and get a second opinion. If you know you are not planning to go into the crawl space yourself, have the tech take pictures. Create some way to prove the pictures are of your crawl space and not of someone else’s with a time stamp. If the pictures aren’t clear, have the tech go down there and take them again. I’ve always done honest evaluations of crawl spaces and other things pest related. I figure by doing the right thing the right way, I’ll get a lot more repeat and referral business. If you need a second opinion, I’ll be happy to help.